Throughout the South, there are plenty of ice cream shops that will give you a frozen sugar rush. 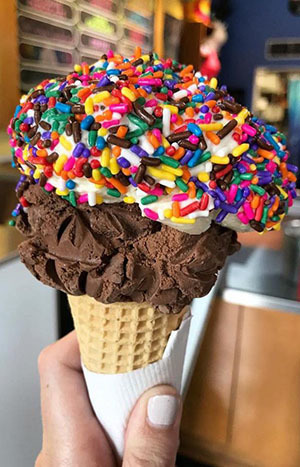 From seasonal flavors to endless toppings, these popular ice cream shops will allow you to create the ice cream sundae of your dreams or enjoy a few scoops on a sugar cone. We can't promise you won't get a brain freeze, but we can promise a trip to each of these shops will be delicious. Since 1968, ice cream lovers have been heading to Cammie’s Old Dutch Ice Cream to get a taste of one of its 47 rotating flavors. In 2011, owners Cammie and Larry Wayne began making all of the ice cream on site. Don’t miss out on the Creole praline and red velvet cake flavors. You can find ice cream from Loblolly Creamery throughout Little Rock, but for a true traditional frozen treat, head to Green Corner Store, where the creamery churns out gallons of rich ice cream every day. Some inventive flavors on the menu include vanilla coconut sorbert and blackberry sweet corn ice cream. The ice cream at Jaxson’s in South Florida is not for the faint of heart. Their kitchen sink sundae comes in a — you guessed it — kitchen sink. A minimum of four people is needed to order this sweet treat. You can choose as many flavors and toppings as you would like in this monster of a dessert. 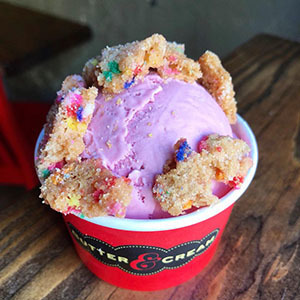 At Butter and Cream, a lot of detail goes into creating small-batch ice cream, including baking the add-ins, such as cookies, in the store. If you’re gluten-free, no worries. The shop notifies customers which flavors to avoid and which ones their gluten-free customers can enjoy. Runners up in the Peach State? Leopold’s Ice Cream has been a favorite in Savannah since 1919. From milk shakes to banana splits, it’s worth waiting in the long lines for a taste of this delicious ice cream. And you might just spot a celebrity in the classic ice parlor, as everyone from Tom Cruise to Jennifer Lopez have stopped by for a taste of Leopold's famous ice cream. Morelli’s is an Atlanta favorite that channels a menu full of flavors that range from kid-friendly to sophisticated. The salted caramel is sweet and salty and only three people know how to make it. If you’re going to Morelli’s, we recommend the salted caramel as the perfect place to start when you’re constructing your sundae. Crank & Boom Ice Cream Lounge is not your average ice cream shop. The ice cream is accompanied with one-of-a-kind toppings, including house-made marshmallows and local strawberries. You'll want to leave the kids at home, as this ice cream lounge offers a menu full of boozy floats and cocktails topped with scoops of ice cream — for adults only. Creole Creamery is a New Orleans favorite. The décor feels like you’ve stepped back into the past, but the ice cream flavors show innovation and creativity. Doesn’t peach Riesling sound like a treat? 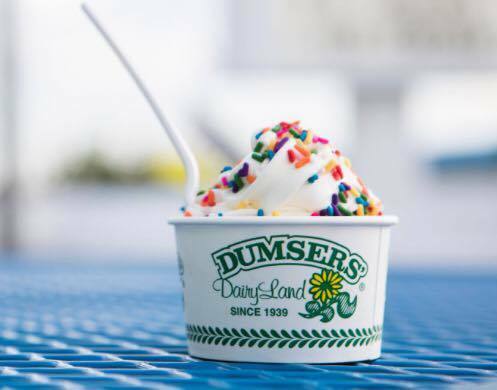 Since 1939, Dumser’s Dairyland has been an Ocean City landmark. The original location on the Boardwalk still serves up ice cream sodas and super sundaes for locals and tourists to enjoy. Can’t make it to the Boardwalk? Head to one of their seven other locations in the area. A couple more winners from Maryland: A Scot making Italian ice cream on the Chesapeake? That’s what you’ll find at Scottish Highland Creamery in Oxford. Prepare yourself for Italian lemon cookie ice cream or rich coffee ice cream. If you're closer to the Charm City, head to The Charmery, which is located right around the corner from Johns Hopkins University in Baltimore. For a true Maryland experience, try the Old Bay ice cream. Started in a converted school bus, The Parlour found a permanent location when it opened a its first brick and mortar store in Durham in 2012. All of its ice cream is made with 18-percent butterfat, for an ultra rich and creamy texture. All of the additional toppings and pastries available at the shop are made from scratch. Pied Piper Creamery in Nashville will definitely give you a sugar rush. One of their most outrageous flavors is Trailer Trash, which is a blend of vanilla, Oreos, Butterfingers, Twix, Reese’s Pieces, Snickers, Crunch bars and M&Ms. Amy’s Ice Creams has been making ice cream in Austin for the past thirty years. Over 1,000 flavors have been created at the shop, and today its daily rotation includes 350 flavors. Don’t worry, it has plenty of topping options as well. 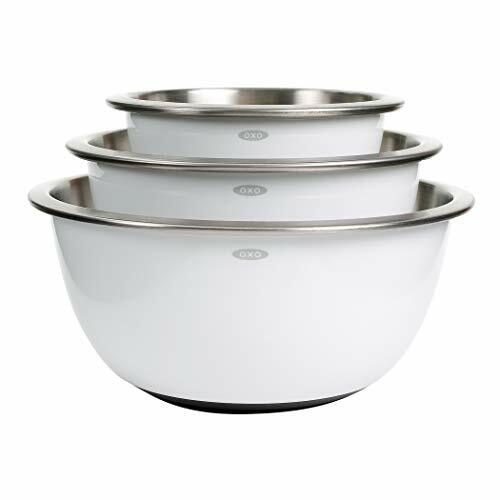 Along with an Austin store, Amy’s also has locations in San Antonio and Houston. Looking for other Texan treats? From locally sourced ingredients to environmentally friendly spoons, sustainability plays a huge role at Fat Cat Creamery in Houston. 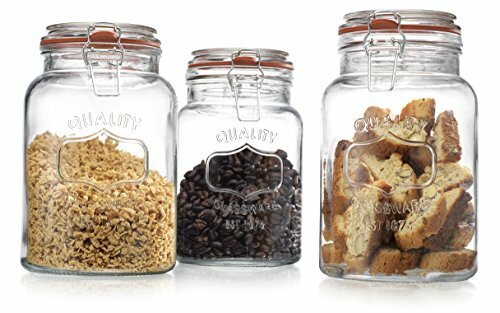 Try one of its five signature flavors, like milk chocolate stout or chai tea coconut, or a seasonal option like bourbon pecan pie. At Lick Honest Ice Creams in Austin, basic ice cream flavors just won’t do. 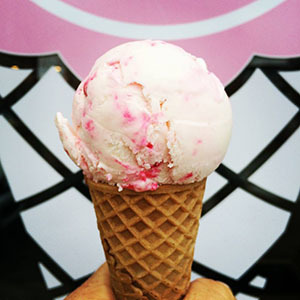 Instead, this ice cream shop whips up flavors like cilantro-lime and roasted beet. 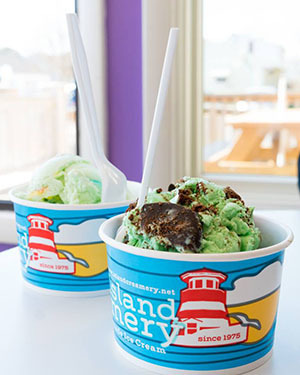 Island Creamery has been a favorite for Virginians since 1975. The shop is located on Chincoteague Island and some of its flavors pay homage to local traditions like the annual pony swim. Try the pony tracks (a peanut butter and fudge swirled concoction) the next time you’re on the Eastern Shore. 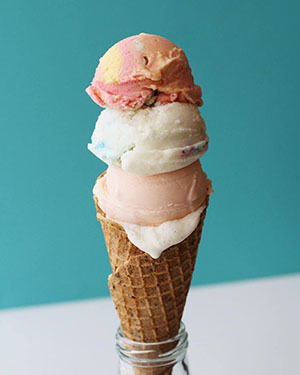 This ice cream shop finds itself on our list as a personal recommendation from Southern Kitchen's Chef Jeffrey Gardner. When visiting Mike's, step out of your normal ice cream routine and swap out vanilla for a scoop of blackberry cornbread or pralines and cream. And while you're changing things up, swap out a regular cone for a shake, sundae or try a Italian affogato. Rachel Taylor is a staff writer at Southern Kitchen. She moved to Atlanta earlier this year after graduating college in Maryland, and has been a digital audience specialist at the Atlanta Journal-Constitution and Politically Georgia, as well as a freelance writer for publications such as USA Today and the Delmarva Daily Times on Maryland's Eastern Shore. She has lived in France and Italy, and loves to travel. What brand makes the best vegan burger?